Wouldn’t life be better if your insurance agent could focus on your specific goals without tackling a mountain of paperwork? That’s what Erie Family Life Insurance (EFL), a subsidiary of Erie Insurance, is striving for, with Dell Services and iPipeline playing a significant role in helping them get there. You may remember last October we announced that our collaborative Straight-Through-Processing technology is helping EFL expedite the process for customers to electronically apply for and receive life insurance policies. The solution is geared toward eliminating expensive and time-consuming paper-based processes, producing 100% in-Good Order applications via iPipeline’s iGO e-App, and improving customer service by mapping field-by-field data from the e-app to Dell’s LifeSys™ life insurance administration and imaging system. 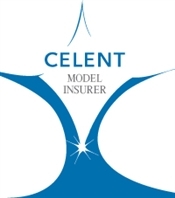 Today, I’m pleased to announce EFL was recognized by Celent, a research and consulting firm focused on IT in global financial services, as a 2012 “Model Insurer.“ The acknowledgment is a direct result of the collaborative work with Dell Services and iPipeline to decrease processing costs while significantly improving the quality of life insurance application submissions. To learn more about how Dell Services can streamline your insurance policy processes, email me here.